In 1999, the best-selling mobile phone on the market, Nokia 3210, was 0.88 inches thick. Fast forward to 2019, and we have the iPhone XS and the Samsung Galaxy S10, which are both extremely thin choices, despite being significantly more powerful and infinitely more capable. As amazing at it may sound, the iPhone XS isn’t the thinnest smartphone available. Android users have the luxury of being able to choose from a whole range of ultra-thin smartphones from various manufacturers. We have selected our top nine favorite slim phones for 2019, and here are the winners. Coming in as our first contender, we’re looking at Samsung’s Galaxy S10. This is the latest and greatest flagship from the Korean tech giant, actually measuring in at just 149.9 x 70.4 x 7.8 mm. The back of the phone is made out of glass, and then it has your typical aluminum frame. The display itself comes in at 6.1-inches, with a Super AMOLED panel that really brings out dark and vivid colors. It has a new, top of the line camera as well — there are actually three sensors in it: two 12-megapixel sensors, and then a 16-megapixel sensor. This phone has some of the most RAM in it today, at a whole 8GB. You can get it in Samsung’s own Exynos processor, or Qualcomm’s Snapdragon 855, which provides you with quick charging features as well. Despite all of this top of the line technology inside, the Galaxy S10 is slimmer than many phones today. The iPhone XR might not be Android-based, but it’s one of the hottest selling phones on the market, as well as one of the slimmest. On top of that, flagship smartphones aren’t cheap, with many phones launching at over $1000 today. That said, the iPhone XR is a mid-range normal-cost option for those that are looking for a cross between premium hardware at a decent price. It still has a large display, and comes with industry leading facial recognition technology — you can actually easily replace all of your passwords and verify payments with it! The iPhone XR still runs on Apple’s latest chipsets, so you’ll be able to handle demanding applications without a hitch. It has a slightly downgraded camera as well, but still takes good shots. On top of all of that, it’s all delivered in a slim package. The LG G7 ThinQ smartphone is LG’s new flagship on the market. This phone comes with a massive 6.1-inch Quad HD+ Full Vision display. LG worked to give this phone a full-display with little bezel — an all-screen, experience, if you will. It’s a tall phone because of its display size, but still comes in very slim. 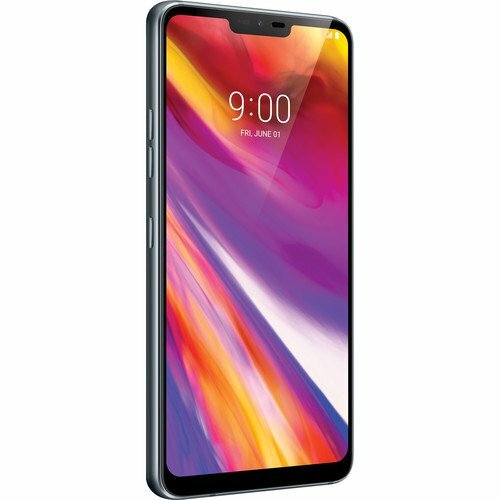 LG’s G7 ThinQ actually has a notch similar to the iPhone XS for facial recognition, but can actually be removed via some settings within the software itself. You get a pretty sweet dual 16-megapixel camera (two 16-megapixel sensors) that gives you the ability to take wide angle shots. 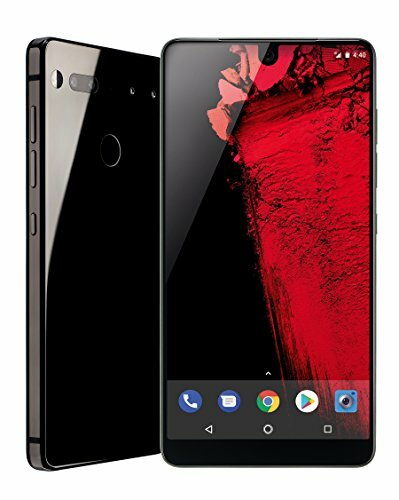 If you really want a slim phone, easily your best option is the Essential Phone. Designed to be a luxury phone from the get-go, the Essential Phone comes equipped with a 5.71-inch display. On top of that, you get the best screen-to-body ratio on any smartphone with nearly non-existent bezels. Additionally, you get a great camera that is supposed to bring in 200% more light than other smartphones on the market. It’s also a stock Android experience, keeping bloatware and useless apps from slowing down your phone. If you want a slim, luxury, and powerful smartphone, this is your go-to guy. 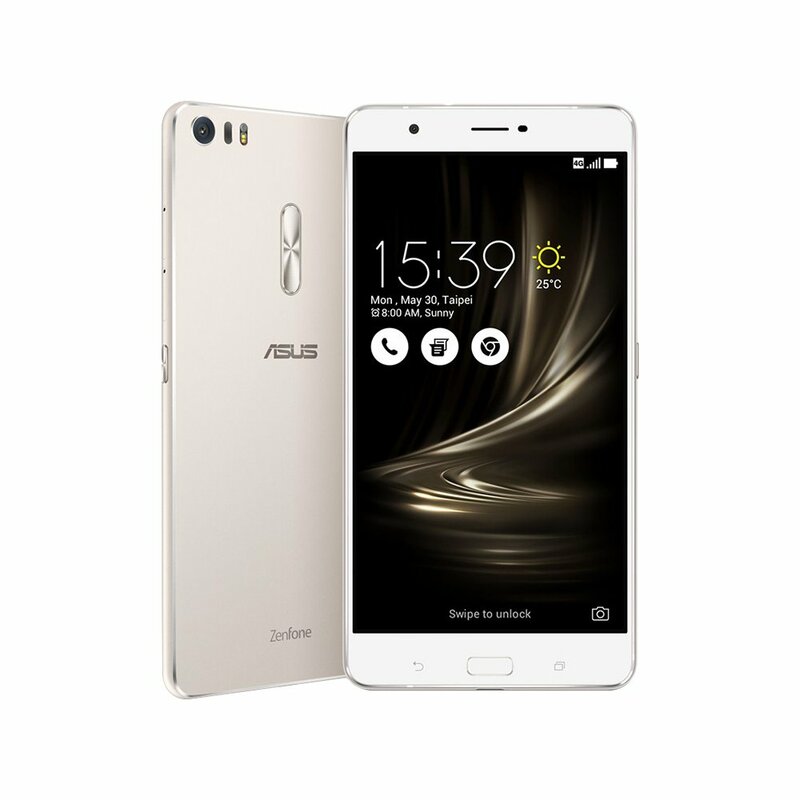 With their Zen line, Asus has already given us many beautiful laptops, smartwatches, and smartphones. 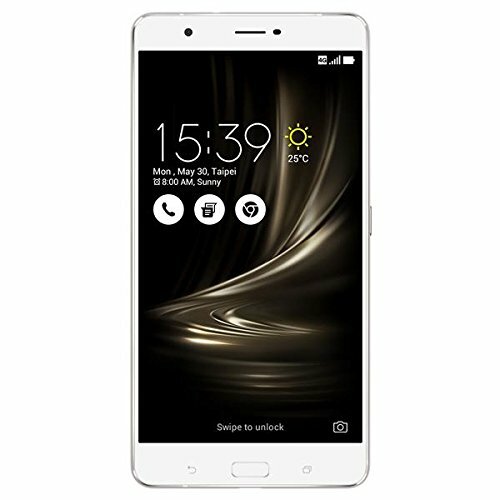 The Asus ZenFone 3 Ultra is the newest member of the last category of devices, even though its display size might suggest otherwise. You see, at 6.8”, the gorgeous IPS LED capacity touchscreen with full HD resolution is almost as big as the Fire Tablet from Amazon, despite the much smaller overall size of the smartphone. It also doesn’t hurt that the ZenFone 3 Ultra is just 0.27 inches thick, making it relatively easy to fit it into a pocket. A display of this size might seem absurd at first, but this feeling only lasts until you install your favorite video-streaming app, AAA games, or download a few comic books. Load the smartphone with your favorite content, and it willingly transforms into an entertainment powerhouse. We have found ourselves using it for watching TV shows, browsing the web, and doing a lot more reading than we would normally do on a smartphone. That’s because the ZenFone 3 Ultra makes it ridiculously easy to get into a habit of using it for short bursts of fun whenever you have 10 minutes to spare. Its 4,600 mAh seems to last for ages, and the phone can even change other phones, giving you an ample opportunity to poke fun at your friends. We have found the performance of the Snapdragon 652 chipset to be satisfactory in every way. Thanks to 4 GB of memory, even demanding multi-tasking scenarios were always without a hitch. The same praise could be extended to the 23 MP sensor with optical image stabilization and laser autofocus. Taking pictures on such a large screen is a surreal experience, but also one that’s easy to fall in love with. Overall, the Asus ZenFone 3 Ultra isn’t for everyone—not immediately, at least. It takes a few hours to appreciate the benefits of using what’s essentially a sleek, thin tablet as a smartphone. But as soon as you discover them, you’ll be looking for them in every smartphone you get your hands on from there on. At 0.20 inches, the Motorola Moto Z is the thinnest phone on this list, and there’s a good reason why Motorola went to extra mile in their effort to make the smartphone as thin as possible. The back side features several integrated magnets as well as data transfer pins for Moto Mods, a range of modular accessories from Motorola that snap on the back of the Moto Z, extending its capabilities and even transforming it into something completely different. Unlike with other attempts at smartphone modularity, Moto Mods are designed with simplicity and usability in mind. They always snap perfectly in place without any tweaking and are automatically recognized by your phone. 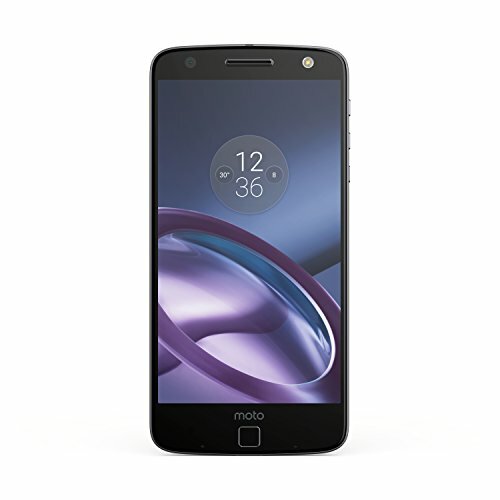 Using these accessories, you can project an image up to 70 inches on any surface, turn the smartphone into a loudspeaker, extend the battery life of the Moto Z up to 20 hours, take sharp pictures with the help of 10x optical zoom and a Xenon flash, or just modify the style of your phone to your liking. With these accessories, the Moto Z loses some of its ridiculous thinness, but it outperforms just about any smartphone out there regarding its capabilities—a trade-off we’re willing to accept. Below the innovative back cover is the Snapdragon 820 chipset, 4 GB of memory, 32 or 64 GB of internal storage space, 13 MP rear-facing camera with optical image stabilization, and a front-mounted fingerprint reader. What you won’t find anywhere on the smartphone is a 3.5mm audio connector. The Moto Z embraces USB-C for everything that involves cables of one kind or another. Good news is that Motorola has kindly included a headphone adapter with the smartphone. Smartphone manufacturers know how important it is to stand out and offer something different among the sea of seemingly identical smartphones. 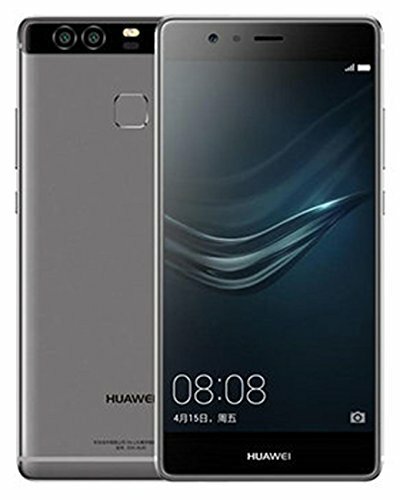 Huawei partnered with Leica, a German premium-segment manufacturer of cameras and sport optics products, to put—not just one—but two high-resolution cameras on the back of the Huawei P9. Their goal: to reinvent smartphone photography, according to the official website. Unlike other dual-lens smartphones that use two identical cameras to capture 3D pictures and video footage, the P9 uses one RGB and one monochrome sensor to extract as much detail from the scene as possible. The Huawei P9’s merging algorithm intelligently combines the colors taken by the RGB sensor with the detail of the monochrome sensor. To take the look of your pictures even further, Huawei included several professional photographic effects and access a powerful array of unique functions, including a choice of film modes, wide aperture effect, monochrome mode, and professional mode. 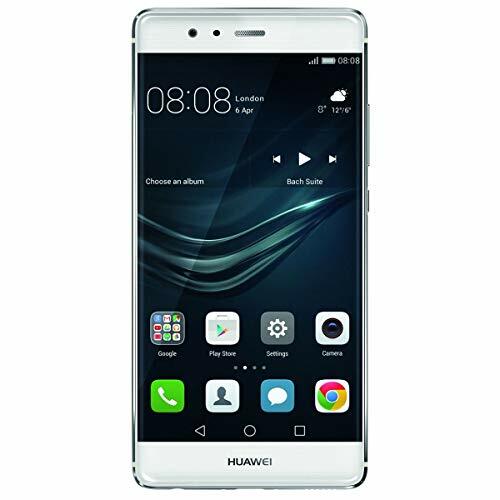 That said, the Huawei P9 has plenty to offer even to those who prefer using a dedicated camera to take pictures or don’t care too much about mobile photography in the first place. This elegant and stylish smartphone is just 0.28 inches thick, rounded out by beautiful curvatures, and sculpted using aerospace-class unibody aluminum and a superior-grade 2.5D glass. P9’s full HD display has 96% color saturation, and we have found it bright enough for use even the sun was trying its hardest to melt the ice caps. Thanks to the HiSilicon Kirin 955 chipset and Mali-T880 GPU, performance is never an issue, and the same goes for the battery life. For the most part, the smartphone market is divided into two segments. There are high-end devices with premium build quality, innovative features, and state-of-the-art chipsets, and then there are budget to mid-range smartphones with adequate, but not mind-blowing performance, and often underwhelming build quality. The problem is that only a small percentage of customers use their smartphone in a way that allows them to take advantage of all that processing power in their hands. Usually, they just want a good looking, high-quality devices for basic tasks, such as phone calling, web browsing, and taking pictures. 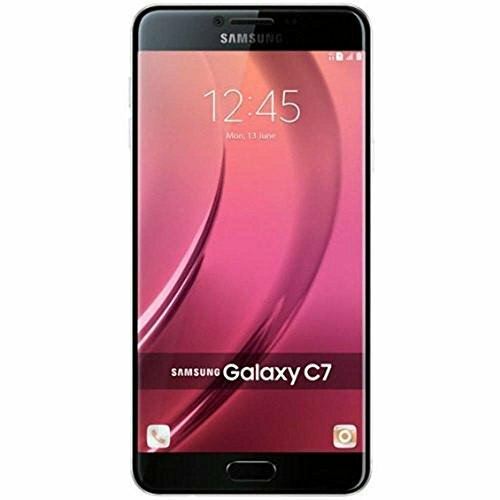 As a high-end phone with a mid-range chipset, the Samsung Galaxy C7 fills this gap. You get the same signature build quality as you would with a flagship smartphone from Samsung, but you pay only for what you really need. Which is a thickness of just 0.27 inches, stunning Super AMOLED capacitive touchscreen, Snapdragon 625, Adreno 506, 4 GB of memory, 32 or 64 GB of internal storage space, 16 MP rear-facing camera, 3300 mAh battery with support for fast battery charging. 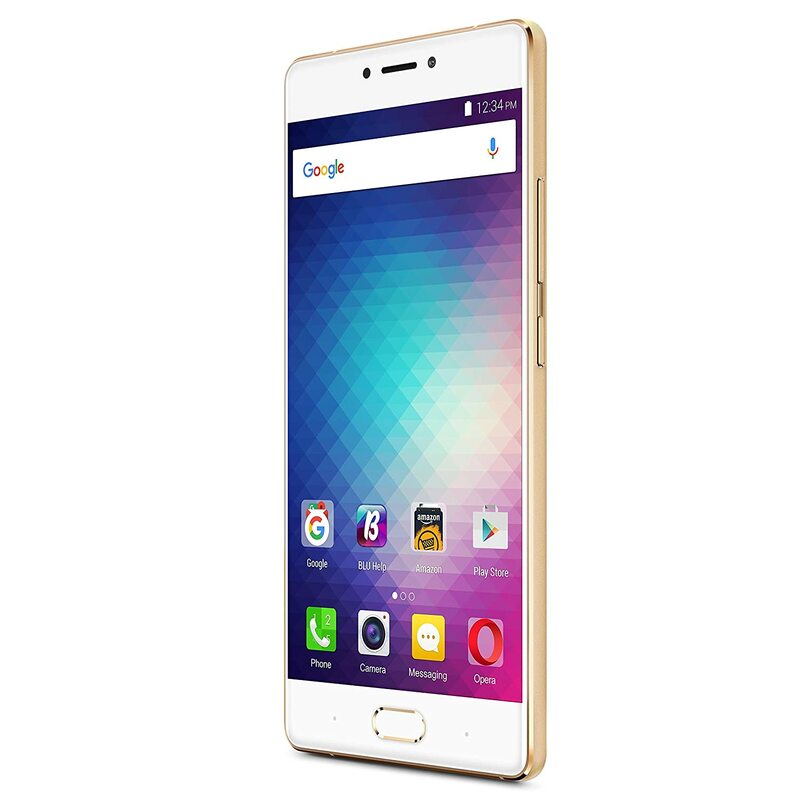 The C7 comes in a metallic design with streamlined body curves and edges for a subtle yet stylish appearance. Thanks to the high screen-to-body ratio, the smartphone isn’t hard to hold with just one hand, despite having a 5.7-inch screen. 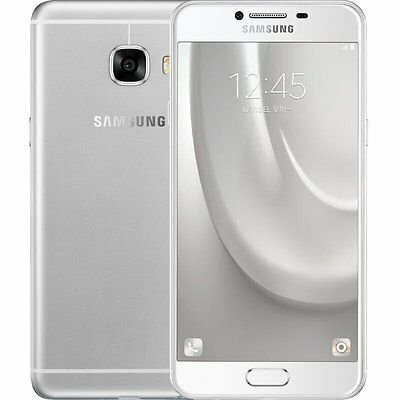 Samsung offers the Galaxy C7 in gold, pink gold, and dark gray. BLU constantly demonstrates that premium features don’t have to cost a small fortune. 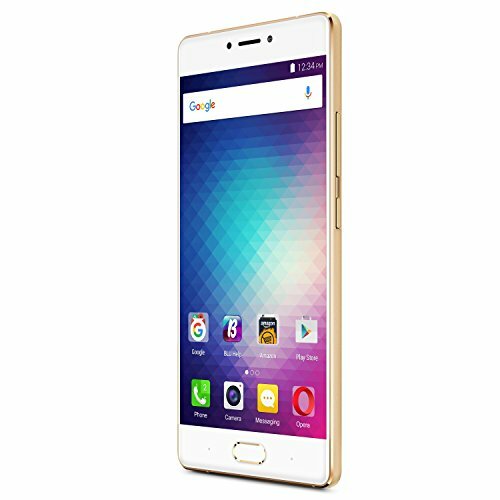 Customers seem to enjoy this, and each new smartphone from BLU is met with unanimous praise. The same is true even for the Pure XR, BLU’s thinnest and most powerful device. Combining the flagship performance of the MediaTek P10 with a thinness of just 0.28 inches and a 5.5-inch AMOLED capacitive touchscreen with the full HD resolution must have been a difficult task to accomplish, especially while pitching this as a “budget” phone. And doing all of that while also using aerospace grade 7000 Series aluminum, a curved glass touch panel, and the Corning Gorilla Glass 3 technology makes one wonder how is BLU even making any profit on this device. One thing is for sure: they haven’t tried to cut any corners when it comes to the software side of things. The Pure XR runs Android 6.0 Marshmallow with BLU’s user interface on the top. The main feature of this UI is the support for the Advanced 3D Touch display, which makes it possible to select, preview, or open apps based on the sensitivity of your touch. The powerful chipset from MediaTek handled everything we threw at the smartphone with ease, and the 3,000 mAh battery with support for the included 9V/2A quick charger allowed for a full day of use. We’ve been moving away from giant, thick phones ever since Apple launched one of the first iPhone models in 2007. And around twelve years later, phones continue to only get slimmer and slimmer, especially as some companies choose to launch a “Lite” version of some of their existing flagships. That said, we showed you a handful of some of the slimmest handsets on the market today. Which one are you getting? Let us know in the comments section below.